Whatever you’re looking for in a beach holiday – relaxation and luxury or adventure and activity - you’ll find it on one of the 7,107 islands of the Philippines. Words and Photographs by Jen Broadbent. Whenever the Philippines is in the news, it’s often for the wrong reasons: political corruption and guerrilla groups, volcanoes and earthquakes, topped off with Typhoon Haiyan last year, the largest recorded storm ever to make landfall. In the gaping spaces between these headlines however, the archipelago and its people are relaxed and friendly. The Philippines is the epitome of laid-back tropical island living - complete with hammocks slung between coconut trees, white sand beaches and cocktails with little umbrellas. One of the last unexplored gems of South East Asia, the islands are often overlooked by sun-chasing tourists. Separated by more than just ocean, the country has a unique history as a Chinese trading partner, a Spanish colony and a pawn of the Japanese and the US during WWII, before striking out on its own. But while the machinations of political power and Mother Nature rumble away in the background, there is a high probability of having the beach all to yourself, if you dare to skip off the worn tourist trail. Four snorkelers line up along the edge of the bangka, straining forward and almost tipping head first into the clear blue water. Less than two metres away, a green sea turtle casually pokes its beak above the surface to breathe, followed by a joyous gasp as a second turtle makes an appearance. A swimmer jumps in with a splash, but the turtles take no notice and gently glide along. Only a few metres below, thousands of brightly coloured tropical fish dart around like a confetti explosion. Panglao boasts some of the best and most accessible diving in the country, and it’s easy for snorkelers and divers to come within bubble-blowing distance of coral teeming with underwater life. The resident turtle population soars effortlessly through the water, nonchalantly passing a wall of coral formations in as many crazy colours as a three year old’s artwork. The sheer variety of fish is awe-inspiring, but the hidden beauty is the intricate patterns of the coral itself, minute and unassuming yet perfectly designed. Back on the surface, catch your breath with a cool mango shake at Amorita Resort perched on the cliff above the tucked-away town of Alona. Dive shops, restaurants, souvenir stalls and guesthouses cluster around the bay, peering through the coconut trees to the sparkling waves breaking over the reef. Many of the resorts on Panglao front onto a private beach, and while it’s easy to collapse into a hammock after a day of snorkeling, the island has more to offer than what’s under the waves. Enjoy Dumaluan Beach ‘pinoy style’: pack a picnic of fish and rice (or ham-and-cheese croissants from French bakery Gavroche) and strike camp at a nipa hut of woven coconut leaves lining the sand. 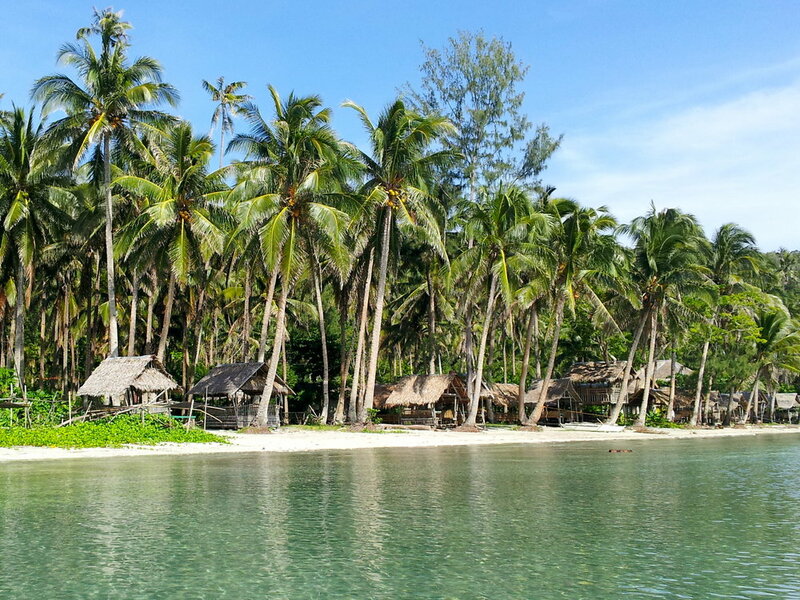 Or, splash around the shallows at protected Doljo Beach and admire the local kids back-flipping off outrigger boats, before scampering back to the cool retreat of the coconut trees when the sun beats down. It’s too hot to do anything other than sink into a siesta, day dreaming about drifting ocean currents and finding Nemo in a fuzzy anemone. Panglao Island is a 30 minute drive from the provincial capital Tagbilaran, where you can catch a direct flight to Manila (one hour) or a fast ferry to Cebu (two hours). For an entirely different flavour in the tropical tasting plate, head to the fun-loving party island of Boracay, one of Asia’s most renowned beaches. First impressions can leave much to be desired - leftover rain puddles in a narrow concrete alley, dusted with a cloud of motorcycle fumes. But suddenly the path spits you straight onto White Beach, and you’ll pull up short and stare. You truly have arrived in paradise. It’s only a few metres across powder-fine sand to the sea. It’s impossible to resist the magnetic pull, to weave through the coconut trees, sunbeds and umbrellas and finally pause with a sigh, knee-deep in impossibly-turquoise, surely-someone-has-photoshopped-this water. The scene is picture perfect: because this is exactly the kind of beach starring in your island dream. Despite its hedonistic reputation reminiscent of Phuket or Bali, a break on Boracay can be as restful or active as you want it to be. While 1.3 million visitors a year sounds excessive for an island only seven kilometres long, it does correlate to a superb choice of hotels, restaurants and activities to keep you occupied in any way you choose. Or, alternatively, a superb choice of sunbeds to work on your tan. Slurp fresh coconut juice and wander along the sandy beach path as touts flourish signboards and call ‘Mam-Sir, you want sailing? Jet-skiing? Kite-surfing? Good price!’ A flotilla of speedboats zips around the bay, trailing lines of parasailers upwards as their parachutes catch the breeze. Up to three people can be strapped into the harness before the crew slowly releases the line. An exhilarating birds-eye view of fishing boats and jet-skis is revealed, across to the sweeping beaches and mountainous jungle of the mainland. Despite feeling like all of humanity has descended onto White Beach sporting sarongs and oversized sunglasses, this widened perspective shows how much remote coastline of the Philippines remains peacefully undeveloped. Water sports for every level abound in Boracay. The shallow azure waters off Angol Point are ideal for snorkeling and underwater photography of hard and soft corals, anemones and starfish. Adventurous divers can descend down pockmarked coral walls for a glimpse of moray eels, enter the 30 metre long Camia shipwreck to seek its resident red bass and scorpion fish, and even drift dive in the strong currents north of the island. Between December to June, the dominant easterly winds whip up one of the best kite-surfing locations in Asia at Bulabog Beach. After an exhausting day on the water, sunset cocktails perched on a beach barstool are mandatory. Cloud trails strengthen from pale yellow and pink to vermillion red. Blue triangle sailboats flit across the calm bay as the cooler evening breezes in. Escape from the thumping music and glistening fire dancers to quieter Diniwid Beach, and splurge on exquisite fresh fish and garlic butter shrimp while sipping on chilled wine. The inky water calmly stretches away from the terrace, a gentle pause before tomorrow’s sunrise illuminates another ocean of possibilities to dive right in. Boracay is a 10 minute boat ride from the busy port of Caticlan. There are regular flights to Manila or drive two hours to Kalibo International Airport for flights to Manila, Singapore, Kuala Lumpur, Seoul and other destinations.